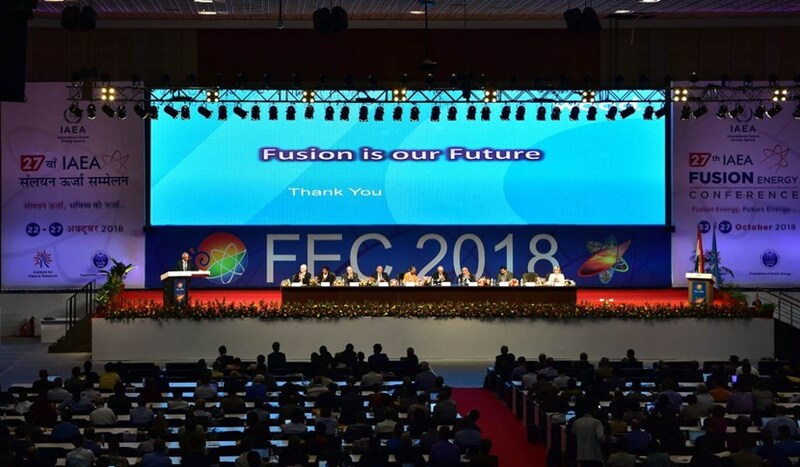 The 27th Fusion Energy Conference (FEC) was held from 22 to 27 October in Ahmedabad-Gandhinagar, India—Mahatma Gandhi's hometown. 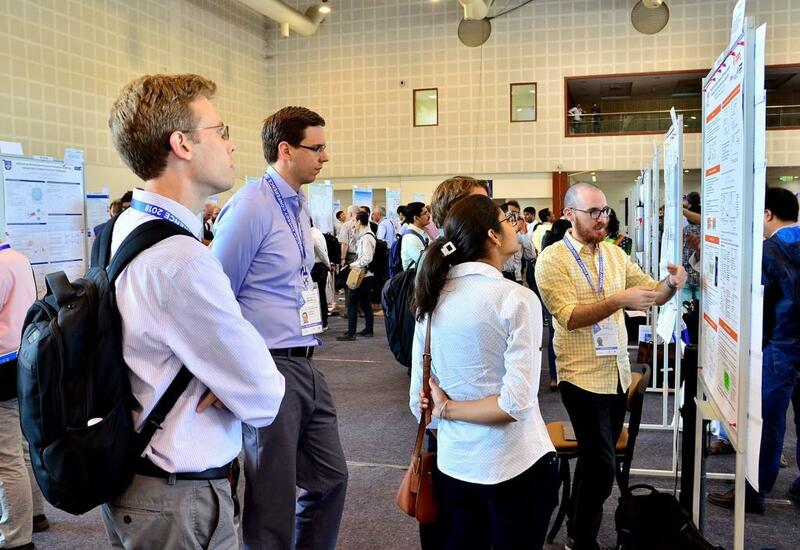 It brought together 718 participants from 39 IAEA Member States and 4 international organizations. In the life and works of the worldwide fusion community, there is no equivalent to this conference. "Over a total of 27 FEC since 1961, I have attended 20 and I have never been disappointed once," says Rob Goldston of Princeton's Plasma Physics Laboratory and a major figure in the fusion world. "Like most of my colleagues I work on a rather narrow specialty. The FEC allows me to pop my head out of the fox hole and see what's happening in the whole field." 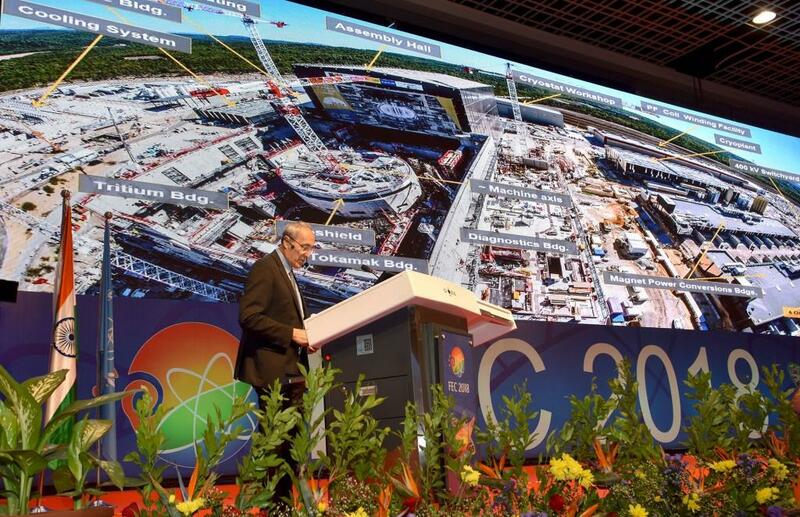 What makes the fusion conference especially exciting for Tim Luce, Head of the ITER Science & Operations Department, is that it is "focused on energy, not just on physics." Tim has attended the FEC since the early 1990s and has always come back "completely energized." "This meeting is vital for our community: this is where we hear the best lines from the best scientists before publication—the FEC is the champion league of fusion." Back in the 1960s and 1970s, the FEC was referred to as "the fusion Olympics." The spirit of competition has passed but the athletes are still here, strong as ever. "Having a presentation selected by the organizing board is particularly difficult. As a consequence, we get only the best quality from the best people," says Goldston. Fifty years after the historical 1968 conference, when Russian physicists presented the exceptional results they had obtained on a new type of device called "tokamak," the 27th FEC wasn't marked by any spectacular breakthrough. 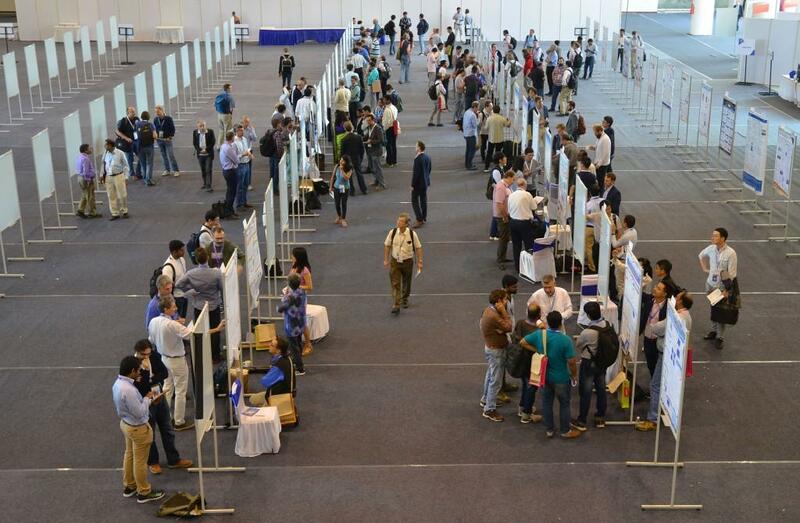 But it highlighted the trends that are causing deep changes in the approach of fusion research. "We are now entering a different world and getting into the deepest subtleties of plasma behaviour," says David Campbell, Tim Luce's predecessor as ITER chief scientist, and one of the two senior scientists invited do deliver the "summary addresses" that traditionally close the conference. "There is an incredible quality in the measurements and a spectacular development of computational capabilities. We now have tools that we could only have dreamed of 30 years ago." For Rob Goldston this is no less than "a quantum leap" in the quality of detail and the precision obtained. 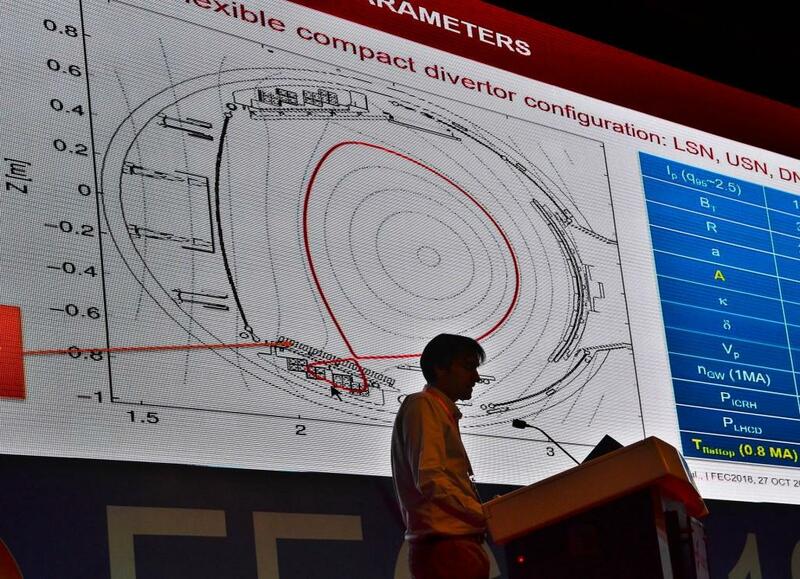 The 27th FEC was also the first opportunity to present the results from new or updated facilities such as ASDEX Upgrade, WEST or Aditya, the medium-size Indian tokamak that was recently equipped with a new divertor. 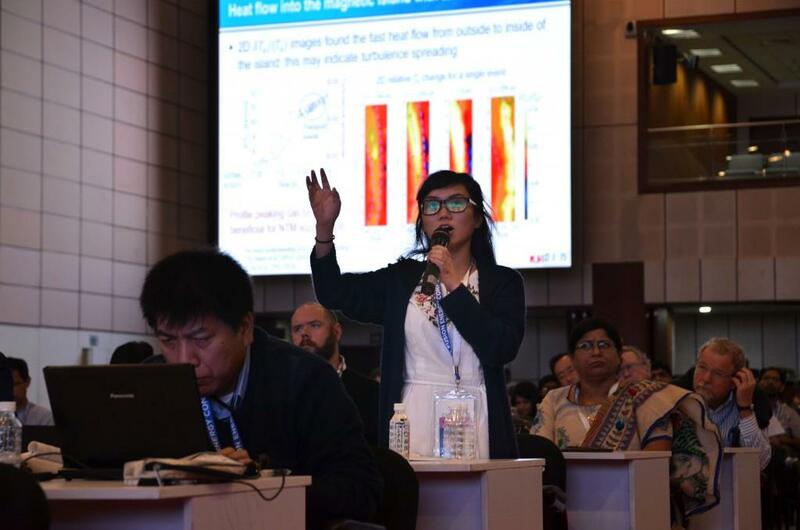 Along with the experimental results of high-performance plasmas in DIII-D and the confirmation of the predicted models in Alcator C-Mod, the good news also came from stellarators with detailed reports on Germany's Wendelstein 7-X and on the Japanese LHD's recent deuterium campaign. "The data from stellarators opens a new window into fusion," says David Campbell. "It has become clear that tokamak physics can learn a lot from stellarator physics." Two years from now, when the fusion community convenes for the 28th FEC in Nice, France, there will be a momentous anniversary to celebrate: the centenary of Arthur Eddington's article on "The Internal Constitution of the Stars," which speculated that the source of stellar energy was to be found in the fusion of hydrogen into helium. 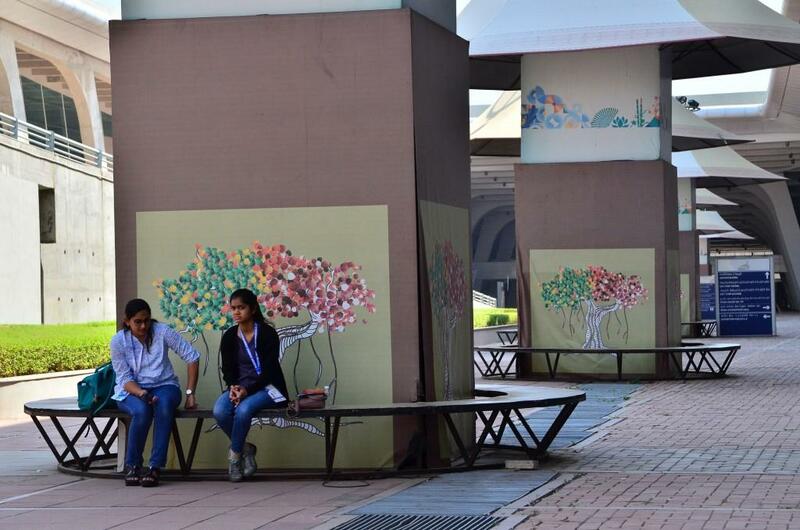 Browse through a selection of images from the conference below. 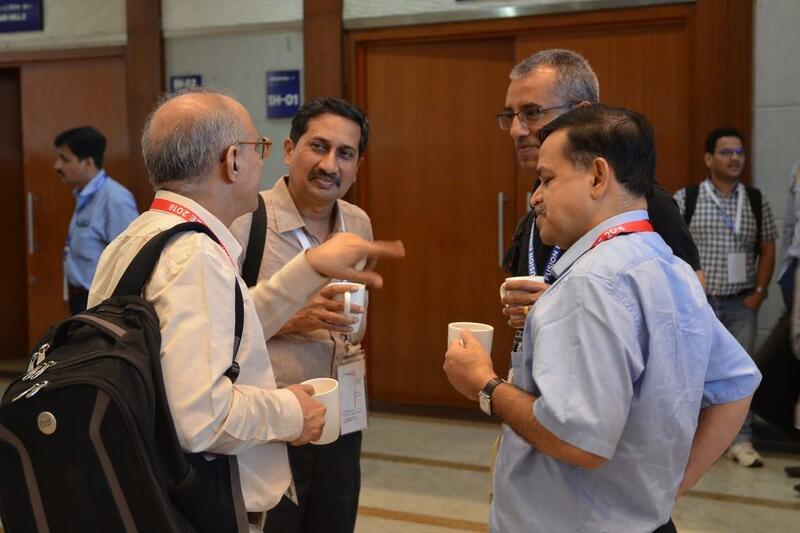 Indranil Bandyopadhyay, Shishir Deshpande and Ujjwal Baruah (far right) from ITER India, as well as Shashank Chaturvedi, Director of the Institute for Plasma Research (second from right), are pictured in the Mahatma Mandir main hall. A recent visitor to ITER, Meera Venkatesh, the Director of IAEA's Division of Physical and Chemical Sciences, delivered the inaugural address of the 27th FEC. "Clean and safe energy is an issue facing every country in the world." 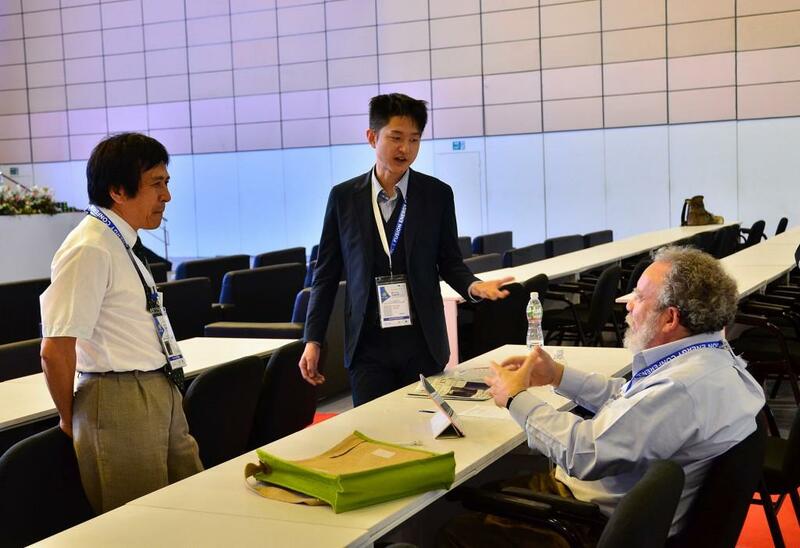 Veteran fusion scientist Rob Goldston (right) in a discussion with physicist Kenichi Ida and a young Japanese fusion student. 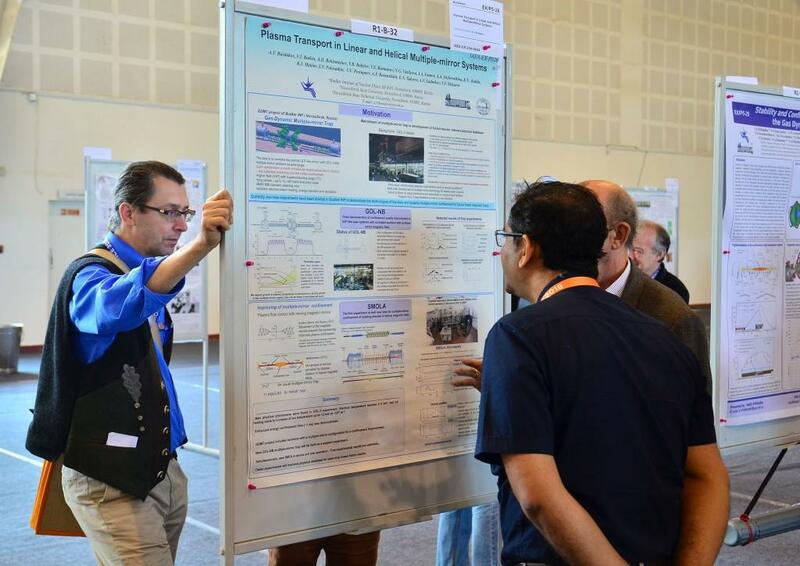 Jérôme Bucalossi, head of the WEST project at France's Institute of Magnetic Fusion Research (IRFM), presents the first results obtained by the upgraded device which is being progressively equipped with an ITER-like tungsten divertor. 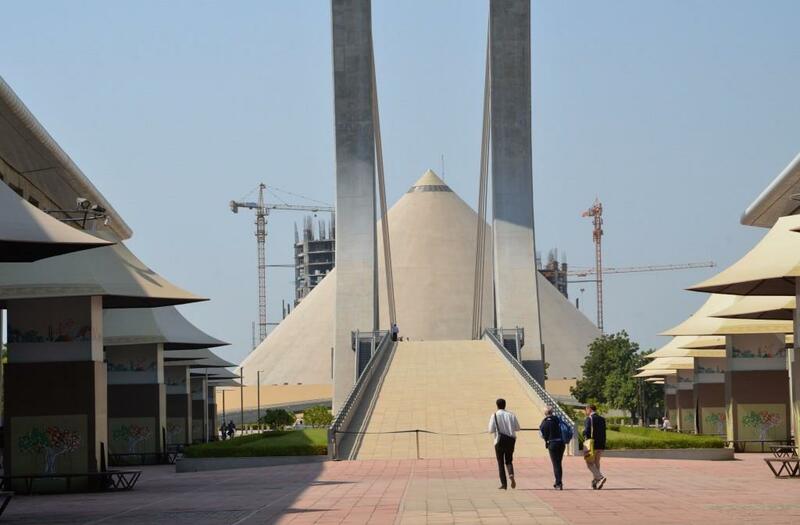 The architecture of the Mahatma Mandir conference centre offers natural cooling—a necessity when the temperature can reach 50 °C in the heart of the summer. Presentations are systematically followed up by questions from the audience. "The FEC is where we hear the best lines from the best scientists before publication," says ITER's chief scientist Tim Luce. Back in the 1960s and 1970s, the FEC was referred to as "the fusion Olympics." The spirit of competition has passed but the athletes are still here, strong as ever. "Having a presentation selected by the organizing board is particularly difficult. As a consequence, we get only the best quality from the best people," says Rob Goldston of Princeton's Plasma Physics Laboratory. 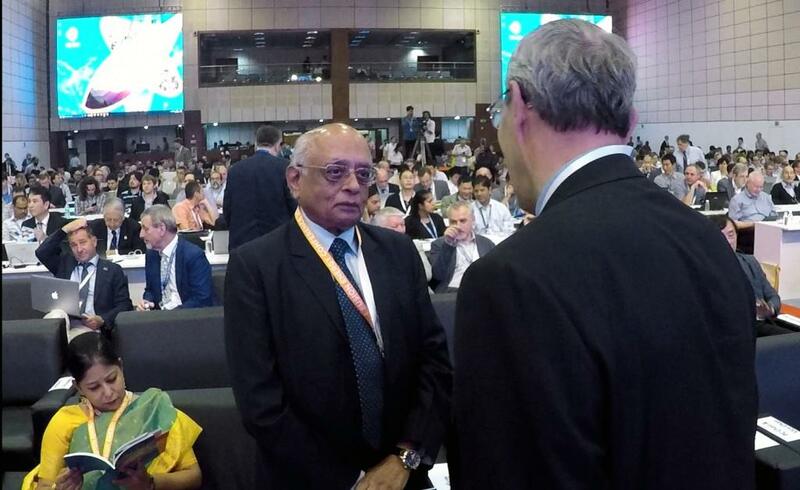 ITER Director-General Bernard Bigot in conversation with Rajagopala Chidambaram, the former director of India's Atomic Energy Commission, on the opening day of the conference. Approximately 700 posters were consultable during daily outbreak sessions. 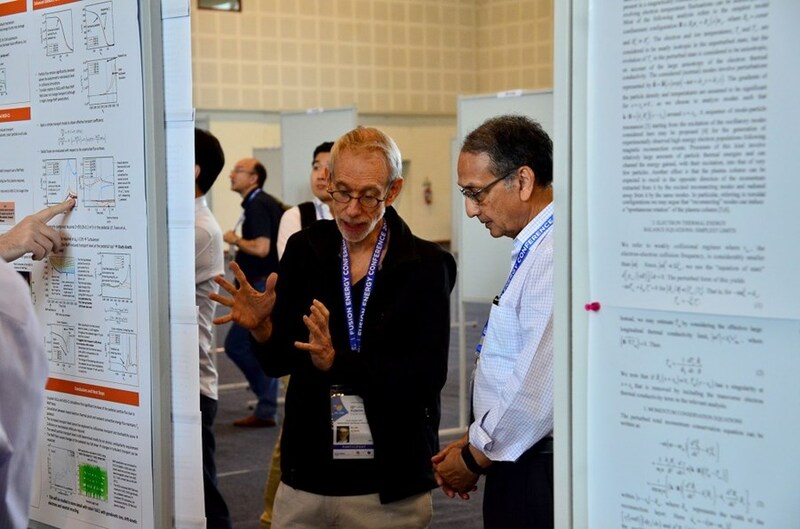 Results from new or updated facilities such as ASDEX Upgrade, WEST or Aditya, from high-performance plasmas in DIII-D, and from stellarators like Wendelstein 7-X (Germany) and LHD (Japan) were reported in poster or presentations. The FEC aims to bring together senior scientific fusion project leaders; plasma physicists including theoreticians and experimentalists; experts in the various multidisciplinary fields of fusion science and technology; materials engineers; and operators of fusion devices. Physicists describe "a quantum leap" in the quality of detail and the precision obtainable today due to a spectacular development of computational capabilities. 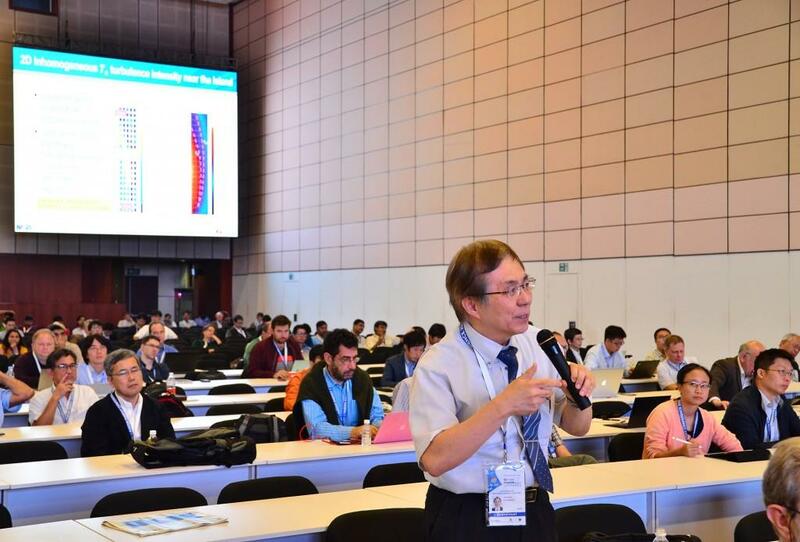 According to the IAEA, it is a "new era" in fusion energy research, with efforts converging toward the demonstration of the technological feasibility of a fusion power plant as well as the economic viability of this method of energy production. Addressing the audience on the first day of the conference, ITER Director-General Bernard Bigot once again stressed the importance of ''working as one'' towards ITER success. 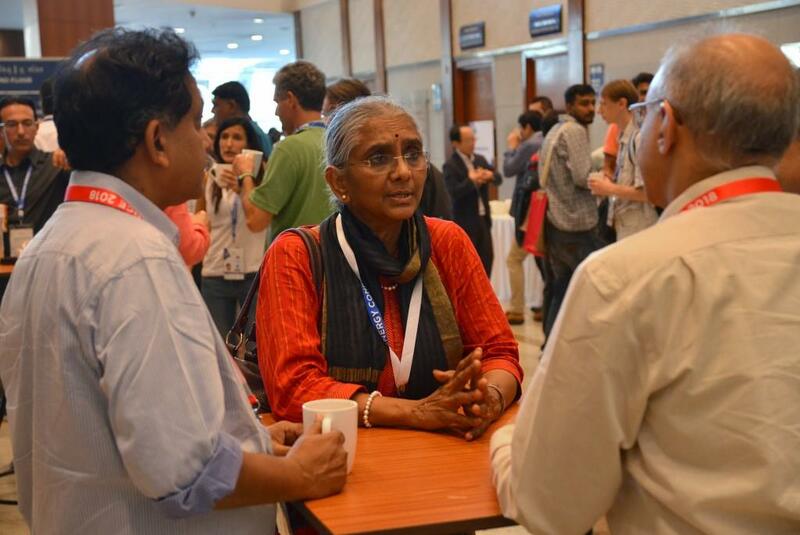 Of the 700 conference participants this year, one-third were from India.